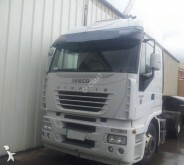 IVECO (Industrial Vehicles Corporation) is an industrial and commercial vehicles manufacturer located in Turin, Italy. 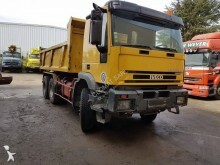 They develop, manufacture, sell and maintain a large number of heavy, medium and light commercial vehicles. Iveco also manufatures vehicles of people transport, and special vehicles for defense, civil protection and fire fighting. 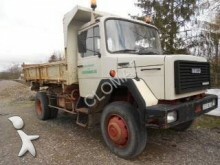 The vehicles are sold under different makes : Iveco, Iveco Defence Vehicles, Iveco Magirus, Iveco Astra and Iveco Bus. Iveco is the European leader in terms of hybrid and natural gas vehicles. The Iveco trucks have received the "Truck of the Year" award several times : in 1992 and in 2016 for the Eurocargo, in 1993 for the Eurotech, in 2003 for the Stralis and in 2013 for the Stralis Hi-Way. Iveco was born on January 1st, 1975 from the merger of 5 French, German and Italian companies (Fiat V.I., OM, Lancia, Unic and Magirus-Deutz), which gave it an international dimension from the get go. In 2009, Iveco became the 2nd truck manufacturer in Europe with more than 20% of market shares, and the main diesel engines manufacturer in the world thanks to their FPT (Fiat Powertrain Technologies) branch. On January 1st, 2001, the manufacturer has integrated the CNH Industrial holding. Iveco is now on all five continents with 27 factories located in 16 countries and 6 research centres.